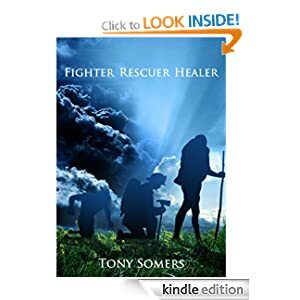 Fighter, Rescuer, Healer, is the story of one man's evolution through the stages of his life. In this book Tony Somers reveals how a normal person can grow to become a rare individual through honesty, love, faith and courage. Using his unique methods Tony will show you how your vulnerabilities (the very things that we all try to hide) are actually your strengths. Having fear as a faithful friend has helped Tony to traverse the worlds of real combat martial arts, front line fire fighting and counseling people in their darkest hours. Follow Tony, a very ordinary man, on his journey through inspiration, action and change. Brought back memories as an ex-competitor and ex-firefighter myself. We did it though, despite the fear. For that I'm grateful.